One of the things I look forward to most about autumn is candy corns being for sale in stores. Now they come in every flavor and color combo you can dream up but I still love the plain old honey flavored ones with the classic white-orange-yellow colors. 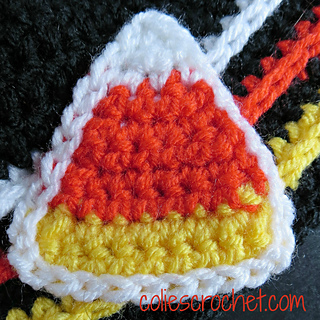 When I was thinking of fall items to make for my shop and new patterns to create, the candy corn was a must! 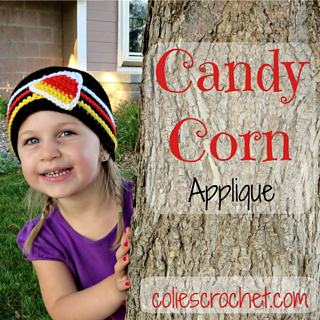 The pattern for the hat pictured will be coming soon so you’ll have to keep your eye on the blog! • I-5.5 mm hook but you can use any hook size you like. I usually use the same size hook as the project I am working on. • Worsted Weight Yarn, I used I Love This Yarn by Hobby Lobby in Orange, Yellow and White. Aran yarn would be an acceptable substitute if you don’t have access to worsted weight yarn. 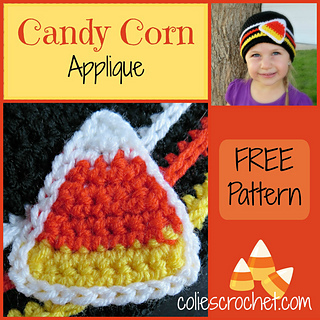 • Yarn or Tapestry needle to weave in ends and to sew onto hat, afghan, or other finished item.